Kittenbot Geek servo & motor kit contain 2pcs gray color 270°servo and 2pcs red color 360°motor, both with LEGO compatible casing for building your projects fast with LEGO and Micro:bit/Arduino/Raspberry Pi. ● Using high-quality motors and high-quality brush materials. ● Practicality, durability, and longevity, far beyond the 9g small steering gear. ● Strong compatibility, whether it is the program or mechanical structure for LEGO-build, as far as possible compatible processing. ● The control is simple, similar to the conventional 9g small steering gear control method, the 90° pulse width is 1500, and the decelerating DC motor with measurable speed is the main one. 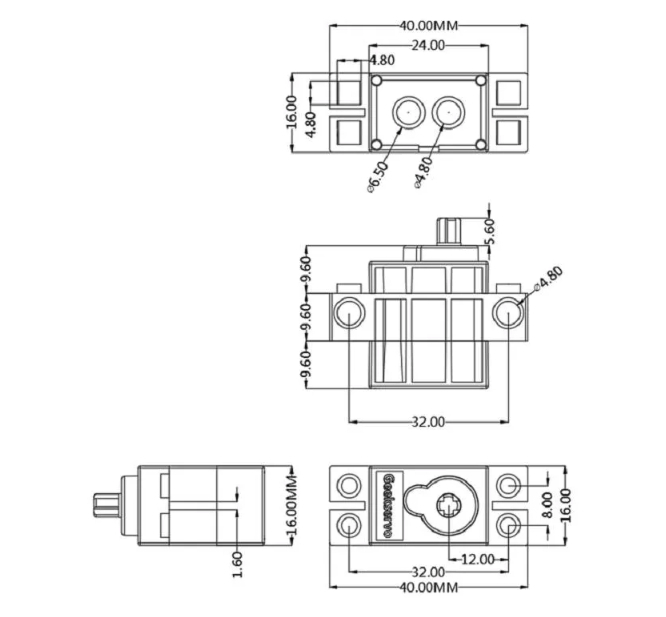 ● Small size, good design, self-contained cross output shaft.